Alexis S. Gutierrez is the Chair of Higgs Fletcher & Mack LLP’s Litigation Department, in addition to serving on the firm’s Executive and Management Committees. With over 20 years of first chair experience, Mr. Gutierrez provides business and employment counseling and complex commercial litigation support to public and private entities, and non-profit organizations. He enjoys Martindale Hubbell’s highest peer rating (“AV Preeminent”) for Legal Ability and General-Ethical Standards. He is also a Recognized Practitioner® with Chambers USA Guide and has been recognized by Best Lawyers in America®, and by San Diego Magazine for as a Top Lawyer® for Labor and Employment and ADR (since 2013). Representative and class action suits concerning employment claims (including discrimination, wage and hour and PAGA Claims), and consumer statute-driven theories (California’s Unfair Competition, Consumer Legal Remedies Act, and False Advertising). 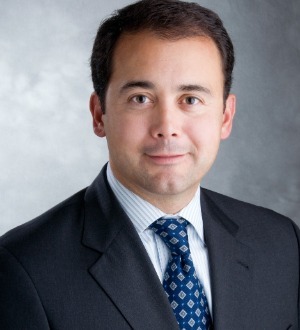 Mr. Gutierrez also serves as leader of the Firm’s Labor and Employment Group. He provides strategic and compliance advice and counsel on all aspects of the employer-employee relationship, including hiring practices, personnel policies, compensation issues, layoffs and terminations, workplace and government agency investigations, protection of trade secrets, employee raiding, leaves of absence, and compliance with wage and hour laws. Mr. Gutierrez has significant management-side experience managing NLRA-related issues (union drives, recognition, certification, and CBA negotiation and management). Recognized by the San Diego Daily Transcript as one of its "Top 100 Influentials"
California State Polytechnic University Pomona, B.S.